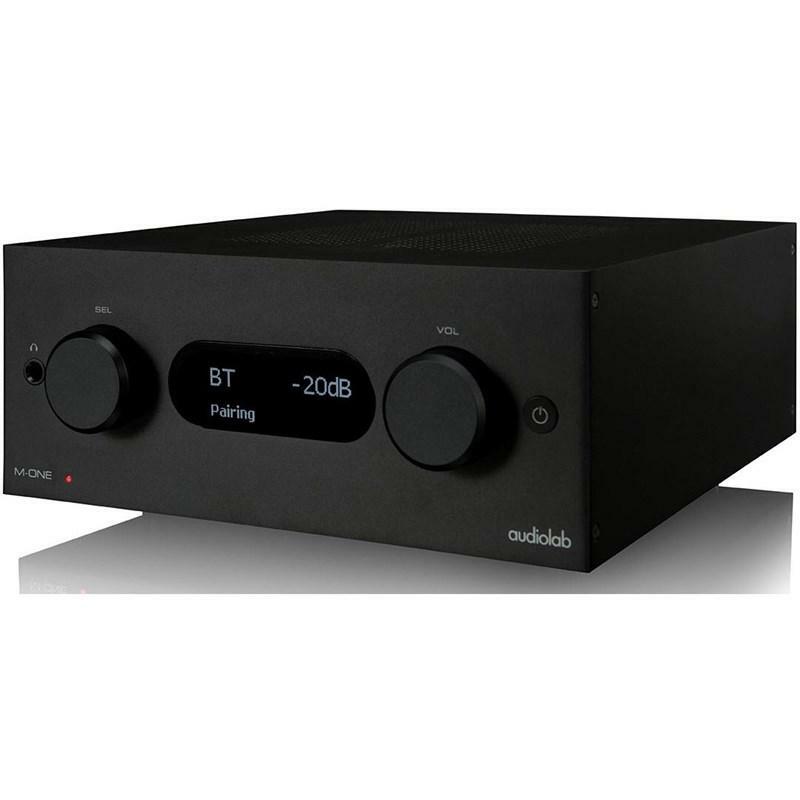 The Audiolab M-ONE is a compact integrated amplifier - the latest addition to the M-DAC family. 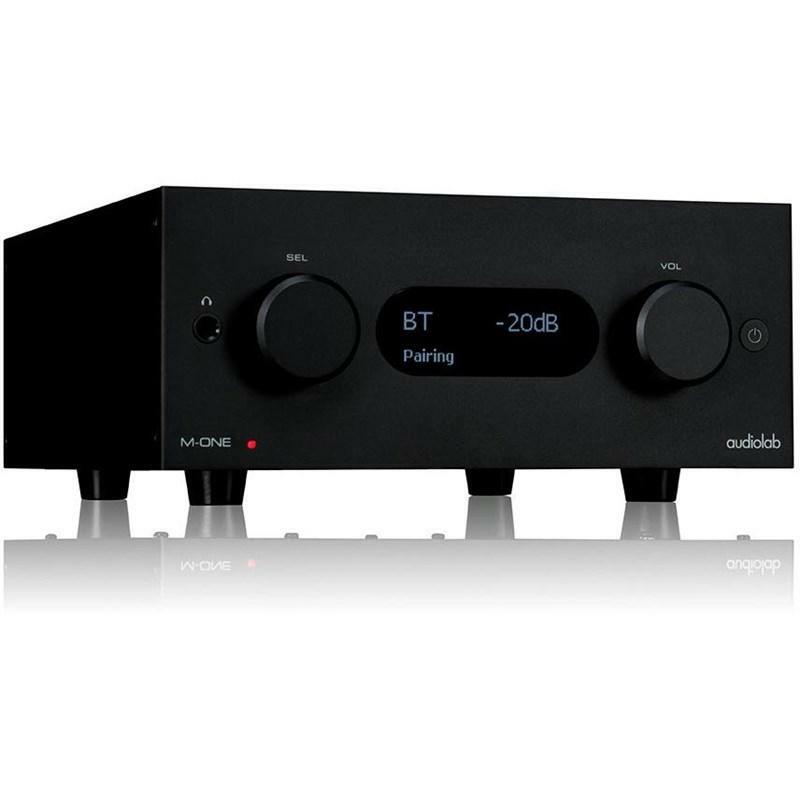 While harnessing Audiolab's acclaimed DAC and amp tech in a single diminutive box, an array of connections, both analogue and digital, aptX Bluetooth and USB ensure a thrilling sonic experience with up to 384kHz resolution audio. 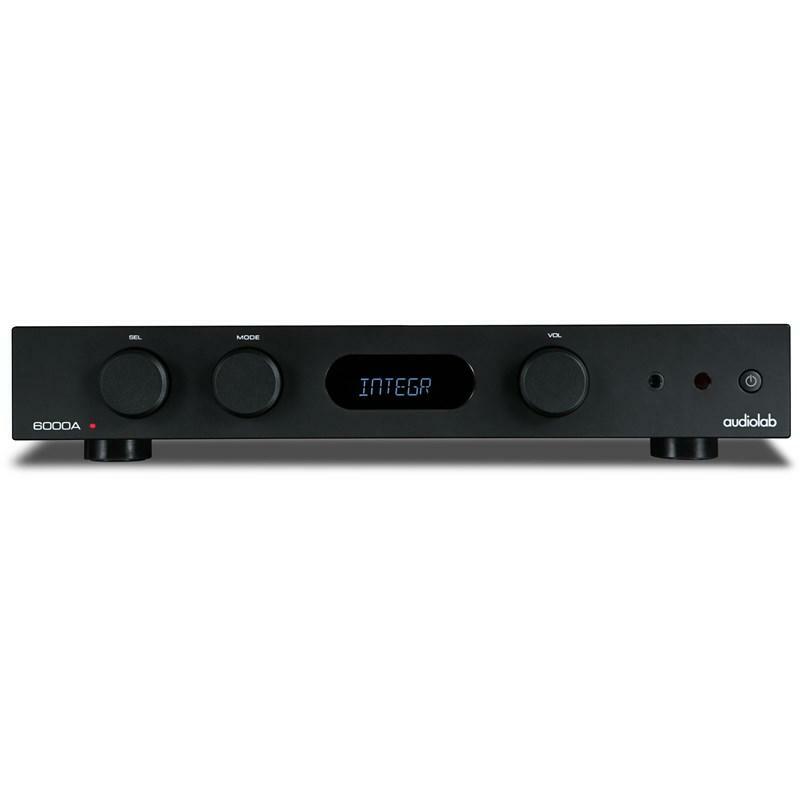 Outwardly, the M-ONE is almost identical to the M-DAC+, Audiolab’s flagship DAC component. It sports the same compact aluminium case, small enough to sit unobtrusively on a desk, table or shelf, with the same central OLED display and elegant dual rotary control scheme. But while standalone DACs require a separate power amp to drive a pair of speakers, the M-ONE packs stereo power amplification of suitably high quality, plus preamp facilities for analogue sources as well as digital, into its diminutive chassis. The M-ONE's DAC section is equipped to process PCM audio data up to 32-bit/384kHz via USB, ensuring the M-ONE is primed to take full advantage of high-resolution digital sound both now and in the future. 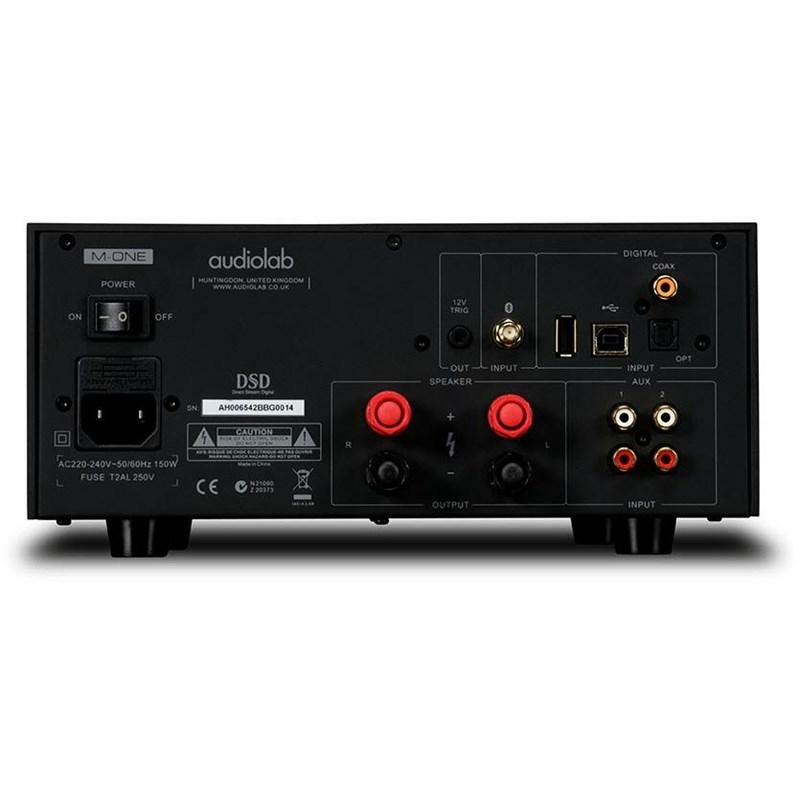 The USB input also supports DSD files (the digital audio system originally developed for Super Audio CD), offering compatibility with DSD64, DSD128 and DSD256 – a significant inclusion, as DSD has an important role to play in the developing hi-res audio scene. To get the most out of the Audiolab M-ONE’s advanced sound processing, included are a range of user-selectable filters to fine-tune sound from digital sources according to taste. A selection of three PCM filters and four DSD offer sonic tailoring options to cater the varying quality of audio delivered by different digital download file types and sources. The preamp section mixes minimalist design with high-quality components, ensuring a short, direct signal path to maintain sonic purity. 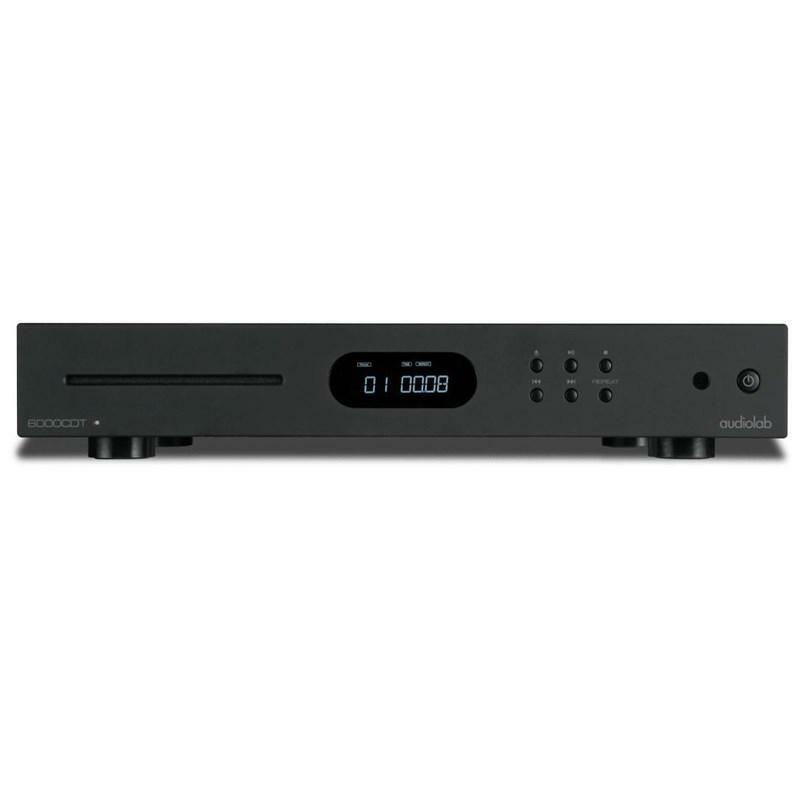 Volume is digitally controlled in the analogue domain, outputting directly to the Class AB power amplifier, which delivers an output of 40W per channel into 8 ohms – plenty of power to drive efficient modern speakers to room-filling volume levels without a hint of strain. A low-noise linear power supply benefits all circuits from the DAC to the power amp, incorporating a shielded, precision-wound toroidal transformer and multiple power supply sections to keep crossover interference to a minimum. This uncompromised circuit design enables an open and amply scaled soundstage brimming with crisp detail and swift, precisely defined musical transients – when used with speakers of suitable quality, the M-ONE’s performance belies its diminutive size. In addition to the main power amp stage, the M-ONE shares the same high-quality headphone amp featured in the M-DAC and M-DAC+, ensuring it’s just as capable with headphones as it is when powering speakers.